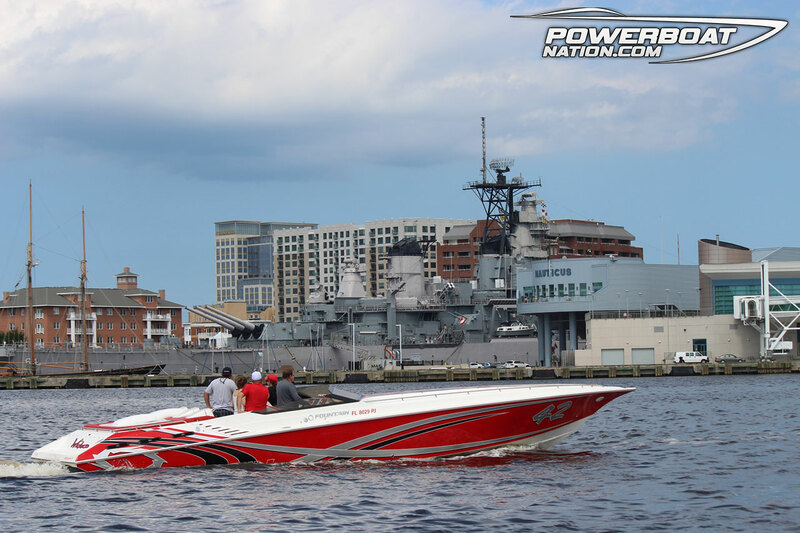 The 7th annual F. Wayne McLeskey, Jr. Memorial Powerboating for a Cure Poker Run, presented by the Mid Atlantic Powerboat Association, was a huge success yet again. Over the last seven years the organization has raised over $200k for the fight against breast cancer. This has not gone unnoticed, making local news headlines in the Norfolk, VA area about the charitable event. 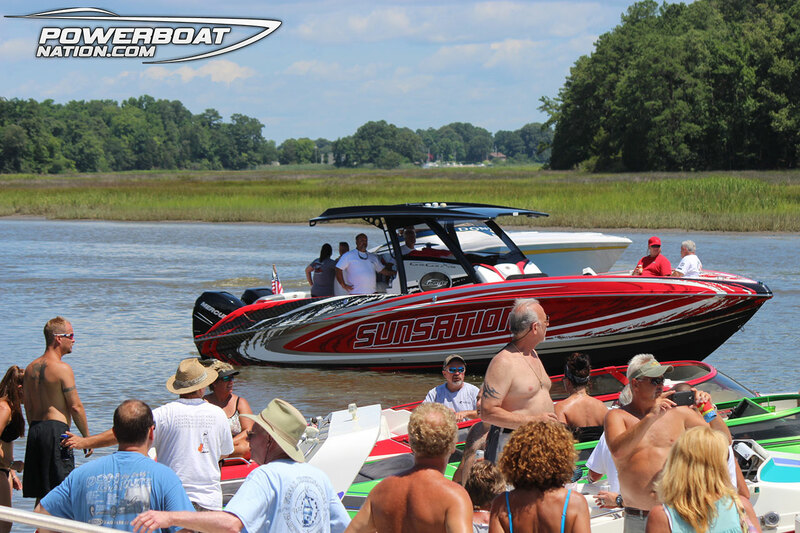 All proceeds from this year’s event ($35,000) was given to the Susan G. Komen Tidewater Organization. Even the Top Hand prize of $1,500 was immediately regifted back to the charity, as were many other generous donations that came from participants. It was my first time attending, and boy did we have a great time. On Friday the fun run went to Mark and Nancy Tuck’s house where they generously hosted a catered lunch, then invited everyone to crash his neighbor’s pool. On the way back to the docks we were serviced with even more catered hor d’oeuvres and some cold ones. Sounds tough, I know, but that wasn’t the end of the glamor. The International Bikini Team followed, putting on a great competition and show for the crowd. Of course, our very own Miss PBN Brittany took home first place and was sashed by our Active Duty military friends who were along for the ride. Still on day one, a private party bus took us to front row at the Kid Rock concert. A run that brings me up front of stage at a huge concert? This was now officially a Poker Run like no other. Bobby was even holed up at the Sheraton, the host hotel, but only one of his guitar players made it to the lobby bar after the show. Saturday morning we enjoyed another generous host breakfast. 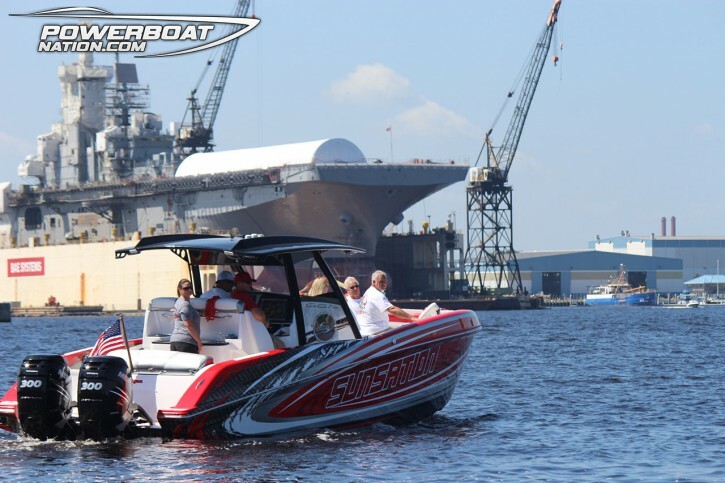 We took off on flat seas and great weather to the card and lunch stops. A long weather delay at lunch actually brought everyone even closer. This run was more like a pack of boating friends hanging out over a weekend. An incredible time. Powerboat Nation was hosted aboard the 42′ Outerlimits owned by none other than J.W. Davis and Miss PBN Brittany. A huge thank you to both of you for your hospitality and support. 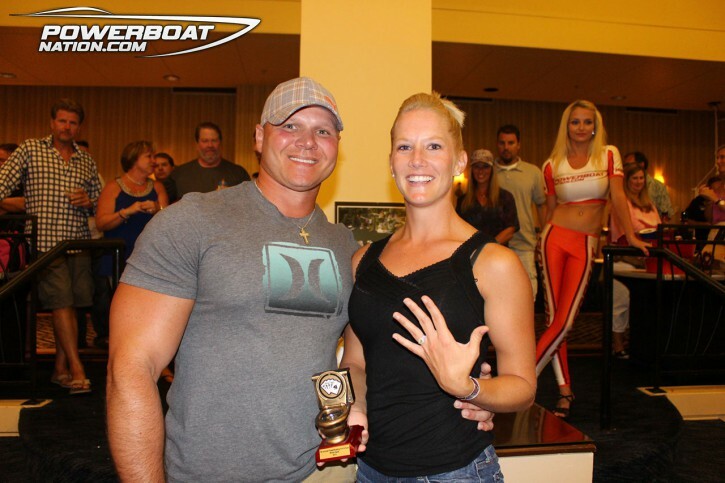 A big awards presentation followed by a crazy dock party made for some fun loving, very memorable moments. We won’t be forgetting it anytime soon. The awards dinner brought the house down and was completely silent when Grayson Kirby told of how the generosity of the people of powerboating at this event last year made such a difference to him when he was involved in a harrowing accident that was predicted to take his life. Then, a celebration, when a marriage proposal surprise was dropped on everyone. 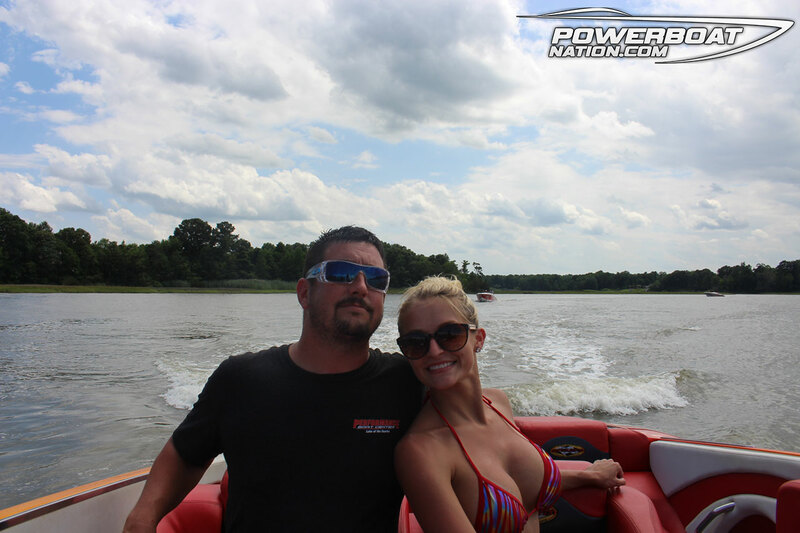 Michael Nix popped the question to Ashley Dyer – she said yes – and now they’re a bonafide engaged powerboating couple. It was a complete thrill for me to be invited to this great event and I can’t wait to go back. 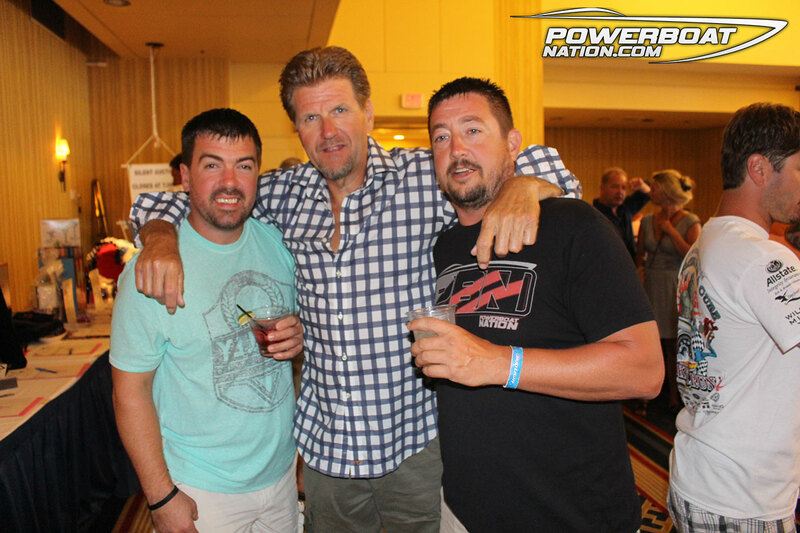 Such a great group of people raising money and awareness for a great cause. Special thanks is in order to the team of tireless volunteers and organizers who put this all together.